James Harden has become not only the first Houston Rockets player to score 60 points but also the first player in NBA history to record a 60-point triple double. 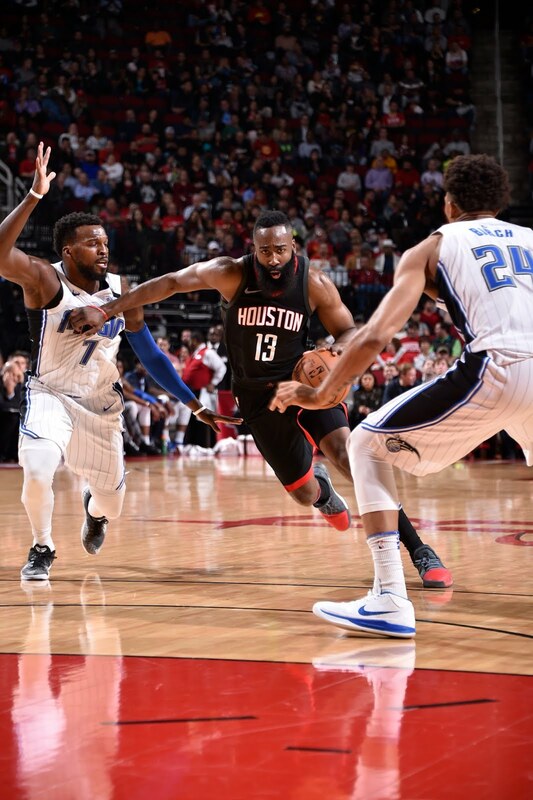 Ending the evening with 60 points, 11 Assists, 10 rebounds, 4 steals and a block, Harden came away with not only a win for his injury-riddled team, but a signature game for his already-formidable MVP case. Even with the Rockets humming along with the league's second-best record, sometimes we need a reminder of how transcendent Harden is. There was plenty not to like about this game. The visiting Orlando Magic were red hot from the three point arc for 48% shooting. 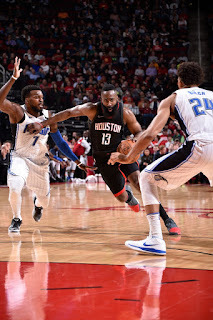 The two teams traded leads as the Rockets couldn't seem to muster up the correct defense to slow the Magic. Chris Paul and Trevor Ariza both sat with injury. Eric Gordon left the game early with back soreness. James Harden was required to play over 46 minutes due to the closeness of the game and the lack of literally any other NBA-caliber guard on the roster. Harden's body will feel this one later, much as his heavy minutes last game will leave a mark of sorts. If the Rockets could achieve any level of health, all of these minutes problems would melt away, but currently they have more injuries in the past two games than games played. The Rockets are deep in the weeds, and they needed something special to pull them out of a bit of a trap game from a frisky Magic team led, somehow, by Marreese Speights. The Rockets needed every little bit of Harden's performance, and every little bit of it was amazing. Should Harden go on to hoist the Most Valuable Player trophy at season's end, this game will have been a linchpin of his case and a crucial moment in the narrative. This was a truly unique evening and one of the finest moments in Houston Rockets history. What else can one do but enjoy it?